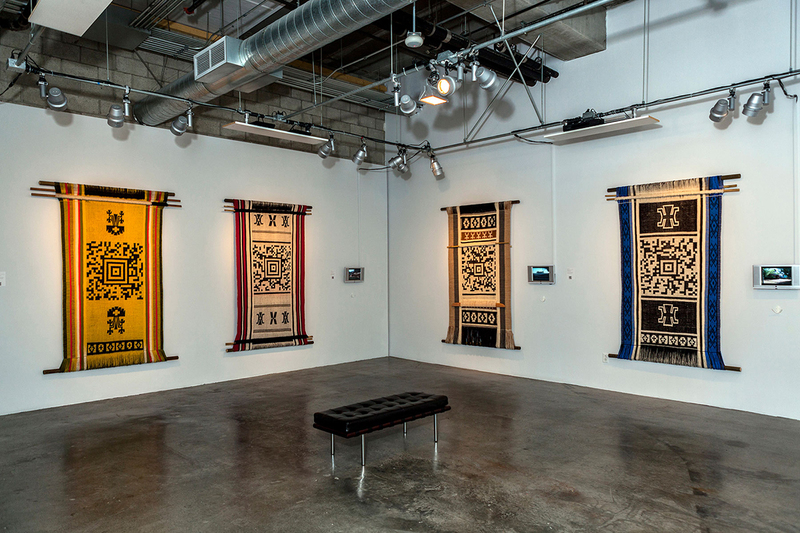 Encoded Textiles: Los Angeles is a new media project by artist Guillermo Bert looking at the harsh conditions of the migration experience of Maya and Zapotec Indigenous populations in Los Angeles, told through ten textiles and videos and twenty audio stories, drawn from interviews with Indigenous immigrants predominantly in Los Angeles, but also Mexico and Guatemala. 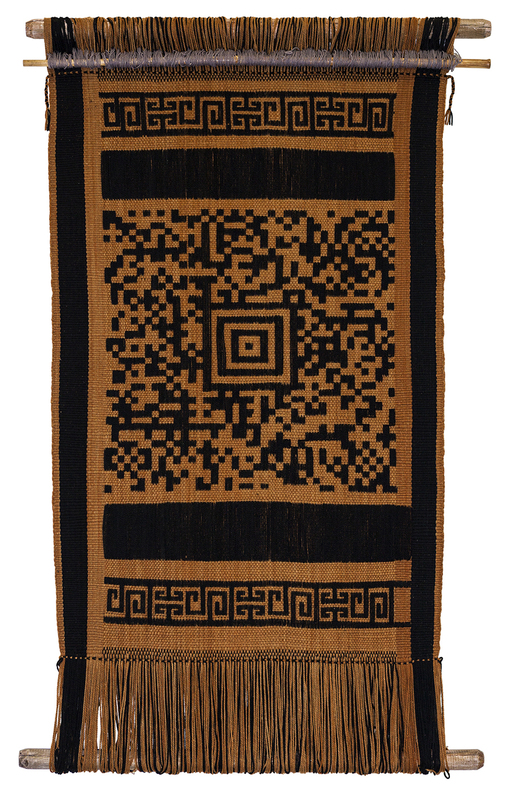 Each textile, woven in the country of origin, incorporates a QR code alongside traditional iconography. Each QR leads to a webpage that plays a video or audio segment. Each page will change content regularly, to create portals to stories about the Indigenous immigrant experience. 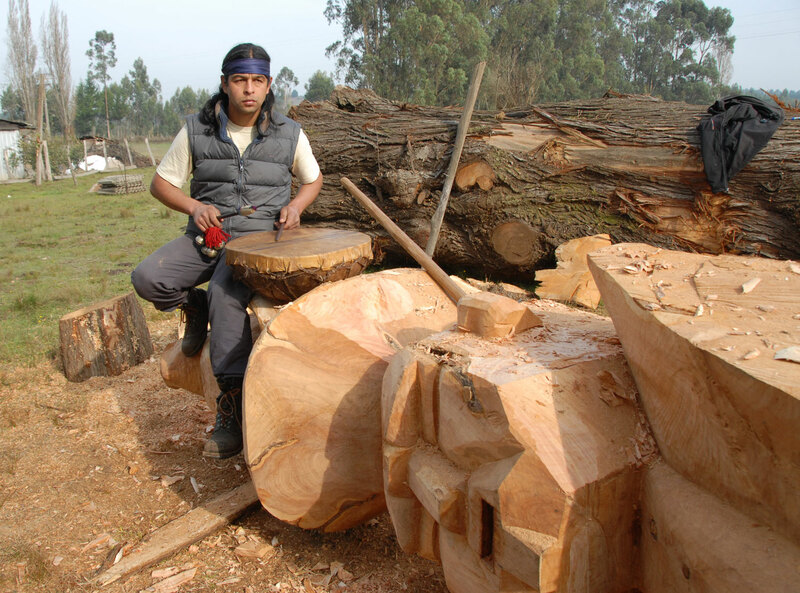 How do we preserve tradition and identity in a digital age? How do we find new ways to tell and preserve stories in ways that might connect to youth, without abandoning the oral traditions that have worked for generations? 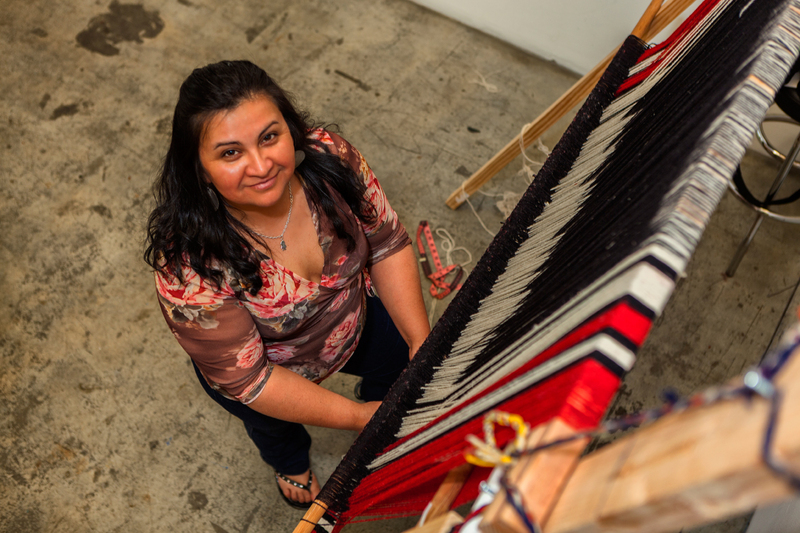 What are the stories of the journeys of Indigenous Mexican and Guatemalan immigrants to the United States? How can we find new ways to hear their stories and bring them more into the ongoing debate over immigration? 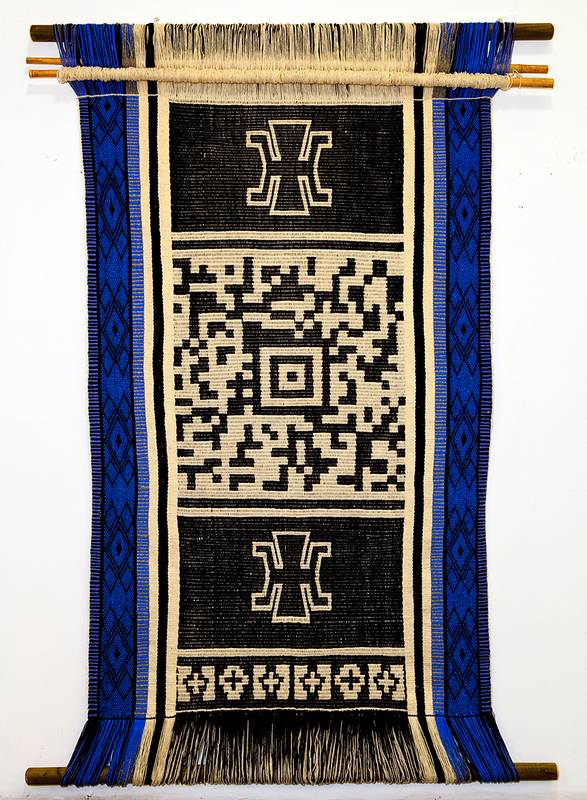 Guillermo Bert’s Encoded Textiles Project investigates these questions by working with Indigenous peoples in the Americas to make a dynamic and expanding art project that uses new media both online and in museum and gallery contexts. The Chilean-born and L.A.-based artist combines his decades-long practice of working with cultural symbols of urbanism, consumerism and displacement, and refashioning them into layered reconstructions of story fragments. Stories are at the heart of these works. 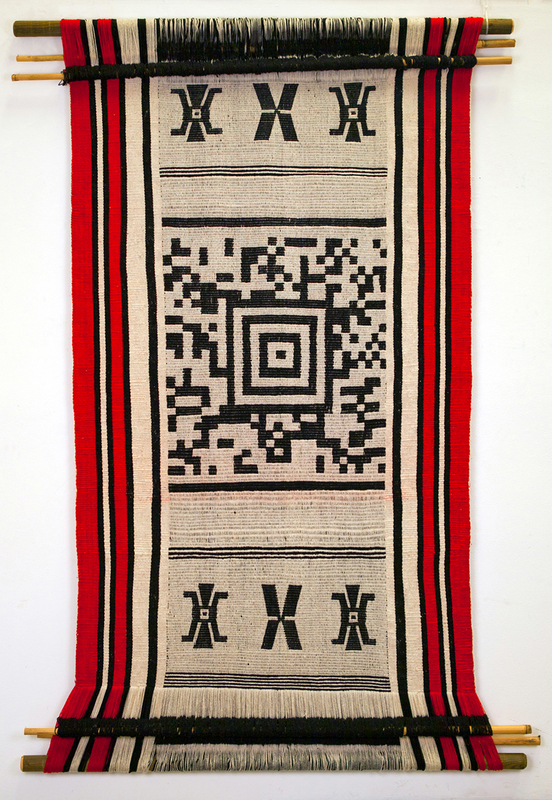 The first iteration of the Encoded Textiles project involved a Mapuche community in Chile, the artist’s home country. 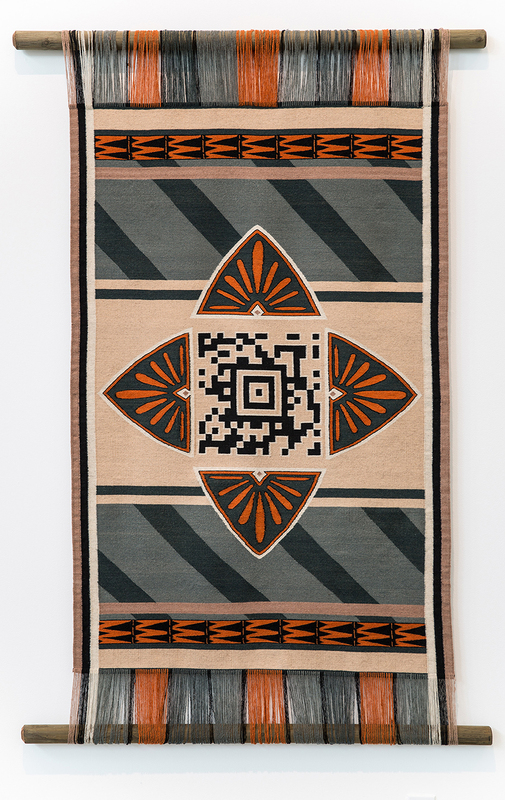 It was inspired by his observation that the “Aztec Code,” a specific form of QR (“Quick Response”) code, with its tiered pyramid-shaped structures, closely resembles graphic designs in the textile arts of Native peoples. 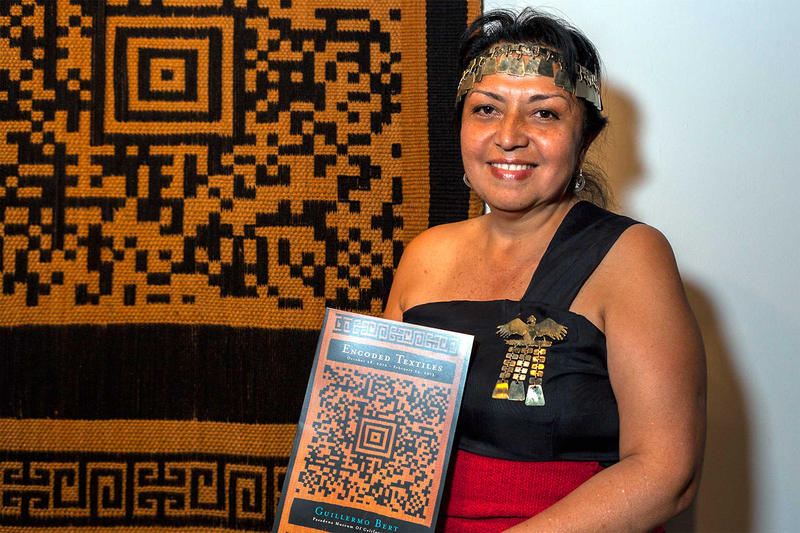 Returning to Chile, the artist collaborated with Mapuche weaver Anita Paillamil, poet Graciela Huinao, and several other community members to bring to light the relationship of Indigenous art forms and cultural identities revealed through the encoded works. 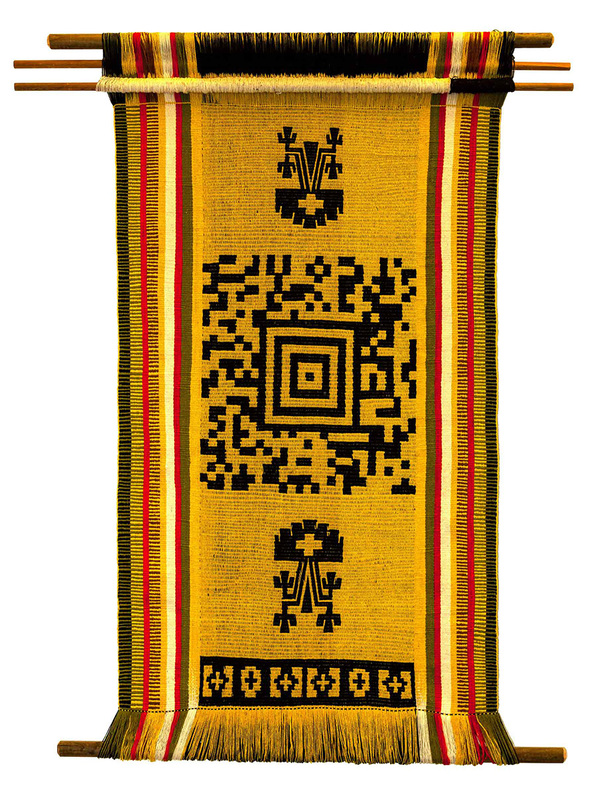 Viewers scan the QR codes with their smart phones, thereby opening access to the Mapuche world through video and audio clips. Their world, as it turns out, is not so remote from ours– fraught with the same forces of ecological degradation and commercial exploitation of resources, yet also filtered through life affirming renewal rituals and cultural celebrations that this project captures in multi-media formats. 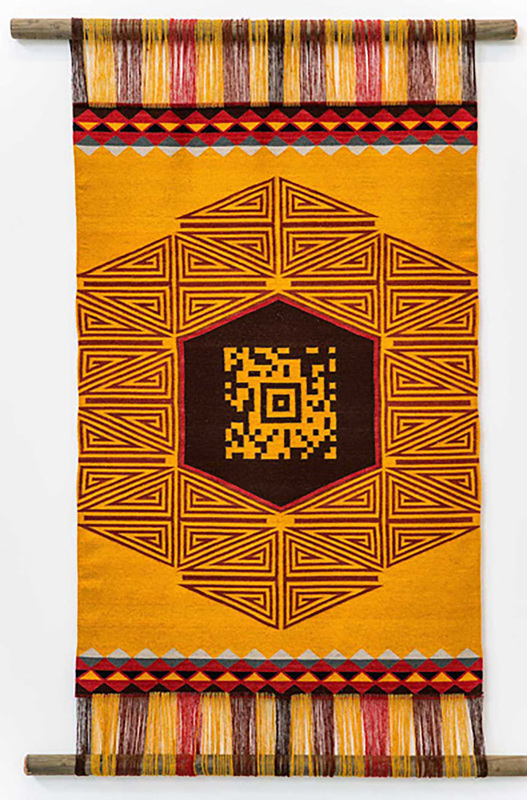 Encoded Textiles is also a story archive, portals to bring the voices and poetic life of Indigenous people into new spaces and minds through electronic scans. 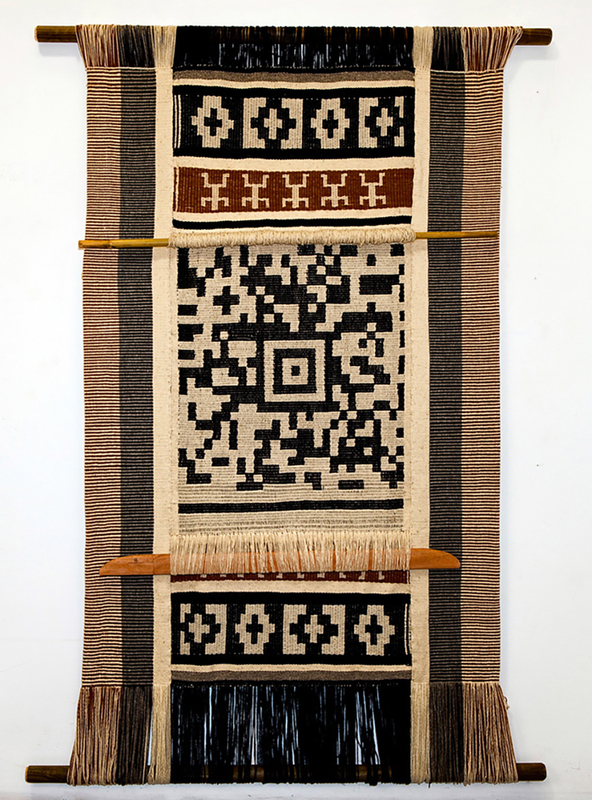 By enlisting the input of Indigenous storytellers and weavers who physically re-insert the codes into traditional design motifs, Bert collapses the duality of Traditional/ Contemporary into art forms that enable a new and more urgent conversation to take place.